Synth Magic captured the very rare string Synthesizer EKO Stradivarius in detail from the 1970’s and makes it available as powerful Kontakt 5 instrument! The EKO Stradivarius is one of the rarest to find and unique sounding string Synthesizer ever made. 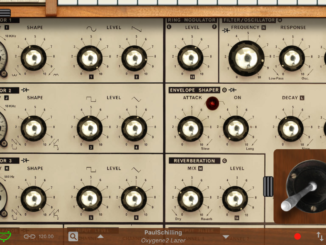 The best-known developer Synth Magic captured for his latest release this extraordinary instrument from the 1970’s and developed a new Kontakt 5 library. 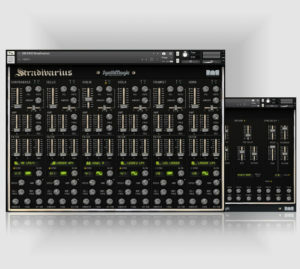 In Stradivarius EKO, users receive these unique sounds in form of an interesting virtual instrument for Kontakt 5 with the power of modern effects. The EKO Stradivarius is one of the rarest and hardest to find string synthesisers from the 1970’s. It has an incredibly rich and vibrant sound all of its own. 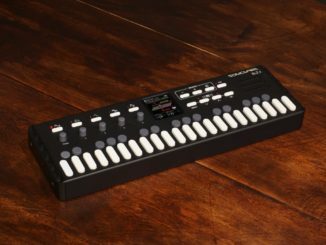 I personally spent a long while hunting one of these synths down and eventually found one, but it was in Italy and had to be shipped here. I could not find one in the UK! The EKO was released in the 1970’s and used by the likes of Vangelis during his 70’s live shows, the EKO produces beautiful and haunting string sounds of that era. Our version will allow for you to easily create those sounds and go way beyond what the original hardware can do. We have added many, many extra features to allow for greater sounds to be created from the core sound of the EKO Stradivarius. We also added a special set of Ensemble processed samples for a very rich and vibrant sound. Both sample sets can be freely mixed with each other for extra creativity. How about each section panning independentley of each other? 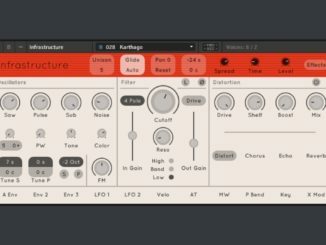 Each section also has independent filter shapes with a huge range of filter types to choose from, vowel filters, phasers filters and each synth section (all 6) has them – lots of scope for sound creation or use the snapshots that come supplied which will give a wide range of sounds that can be tweaked and modded by you. Easily create beautiful and lush strings, haunting pads, synth leads, special analogue type effects, synth stabs and then pass them through the effects section. The effects section has bus sends for each synth section and allows for you to ‘dial in’ just the right amount of effects for each section. Suitable for all kinds of music from abstract electronics, 70’s disco, modern EDM. Would also sound great being used to score a Zombie movie like Romero’s Dawn of the dead or some obscure Italian horrow/zombie movie. Stradivarius EKO by Synth Magic is now available for an introduction offer for £20.10 until July, 31st, 2018 at Kontakt Hub. Regular £30.